Directions: On Beautiful Rt 58 Near Candlewick Lane. Attached, Condex. Immaculate, newer home is even better than move-in condition! Charming farmers porch welcomes you to an open, flexible floor plan, with 3 bedrooms up and a finished basement. The size house youve been looking for! Lots of natural light with windows in all the right places. The Kitchen will delight you with loads of cabinets and counter space, recessed lights, double sink, hardwood flooring. Sunroom or office at the back with slider to deck overlooking your huge yard! Oversized Master Bedroom with a walk-in closet. The finished basement offers flexible space - another bedroom, guest room, family room, or game room!? Tons of closet space and storage including a big attic with pull-down stair. Natural gas heat and central air. 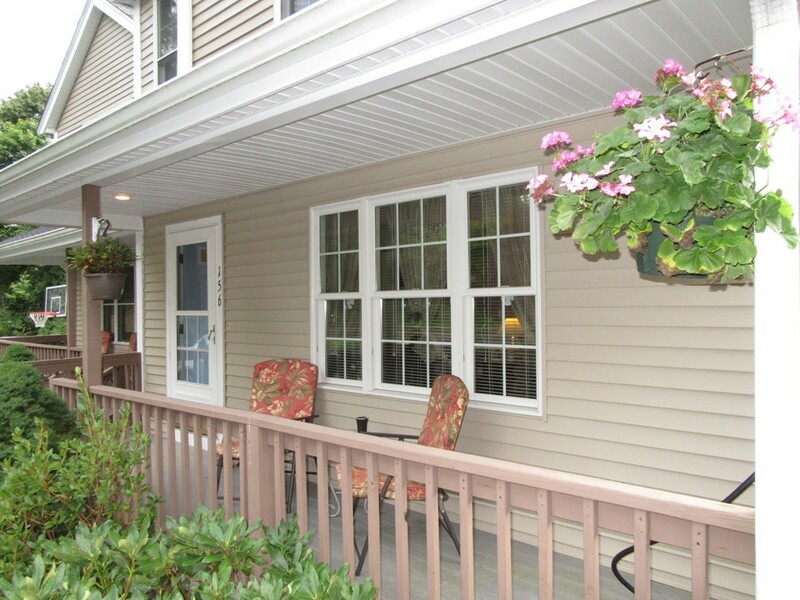 Composite decking, vinyl siding. Plenty of parking. Close to schools, commuter rail, Whitman Town Park, shopping, local amenities and recreation. Pet friendly. Shed, Patio & porch furniture included!